Random Highlights of 2012-Says it All!!! 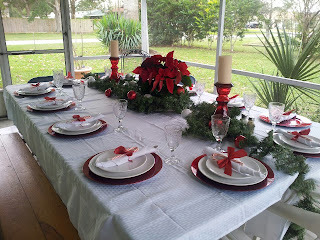 All is ready for our Christmas Eve dinner. On the menu: Caprese Salad, Baked Shrimp Scampi, Lasagna, French Bread, Tiramisu and Cheese cake. We love making our home inviting to others. Hope your home is as lovely and ready to celebrate the birth of the most important baby ever. Have a Merry Christmas!!! Yeah, I know...not the best picture of me. But it was taken after a very triumphant morning with my little man. William and I finished our 5th week of training this morning, by running 20 minutes straight without walking. This was a huge deal. William thought about it all week long and was worried about it. But he did a fantastic job...keeping a steady pace to finish the job. Love these moments. As I was running I was just thanking God...I felt so blessed to be out there with William. God is so good...to have brought me so far. Hope your holiday is going well...mine is! 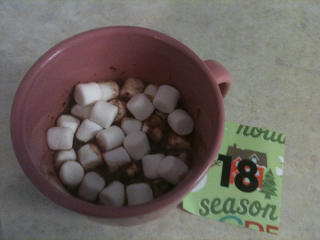 Today's advent activity: Drink hot cocoa with breakfast. This brought a few cheers from my kids this morning. Included in that was a bit of my yummy zucchini bread and a few cartoons on the television. What a delightful morning. No outlandish activity or tons of money...it's the simple things that bring smiles to their faces. Enjoy! This was a huge task to undertake. 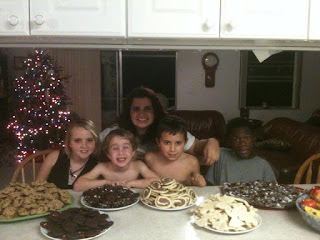 5 kids...5 cookies...1 day!!! But we did it. The kids had fun with Matt and I. Caleb did a fantastic job...he doesn't have much experience in the kitchen, but he was an expert on making his thumbprint in the cookie, while I was behind him filling up the thumbprint. Our advent calendar event for the 15th of December was to make gingerbread houses. The kids had been anticipating this event for weeks. As you can see I bought out the stores of their candy...gum drops, licorice, M&M's, gummy bears, peppermints, junior mints, candy canes...you name it, we had it. 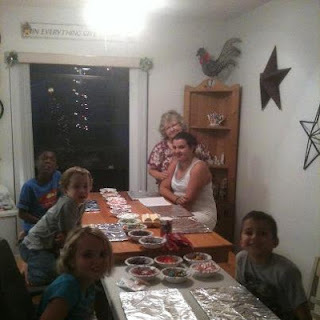 Matt made a huge bowl of royal icing and we had it all spread out and ready to go. We invited Nana over to help and the kids went at it. I helped Judah and Caleb with the construction of their houses. They held the graham crackers and I iced them. The key was to let the foundation sit for a few minutes to harden (research ahead a time does help a bit). After building their houses, the kids went crazy with their candy. I think it was their favorite part. Dad of course had to be in the midst of the mayhem. He was working on this two story snow chalet diligently. 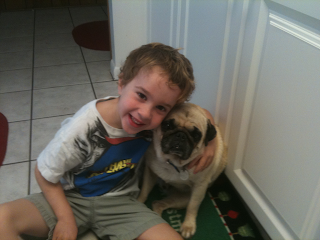 William was trying to mimic him as much as he could...which is so sweet. I forgot to add this picture from last week. My best friend had her 6th baby and I got to be there for the joyous birthday. Introducing Kinsley Noelle...what a cute baby. 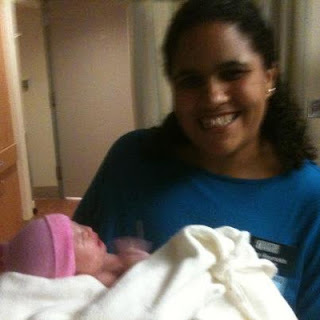 Love being a doula and able to share these moments with families. And Me. Plain and simple. Feeling really good about myself and this incredible journey that I am on. I could shout from the rooftops most days. I have never, ever, ever felt this fantastic. God is so good! 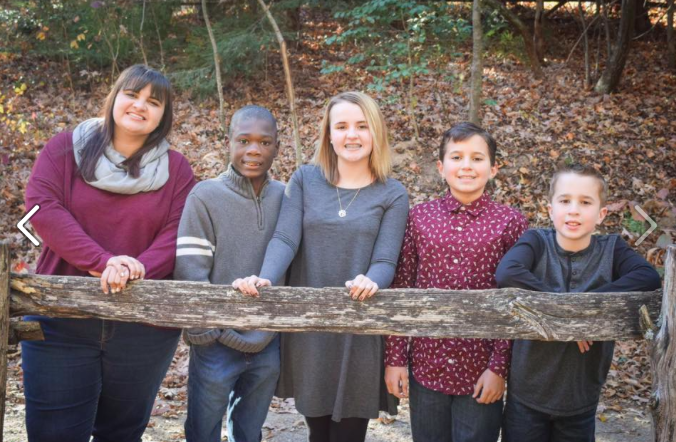 105 pounds down and counting... Now head over and check out Emily and her crew embracing the camera. What an amazing family they are...keeping it real. Well, after about 2 years I got hit with a virus. Yuck! Haven't felt this lousy in such a long time. It's Sunday morning and I am still in my jammies and it is after 9:00. Crazy for me. I don't like this too much. So, enjoy my little snapshot of my boy from this week. So cute. Hope you have a great Sunday! The crew is all here...including Mr. Edward. A foggy, warm morning here in Florida. William was sitting in my lap and wanted some Mom time. We snapped a quick picture. Can you believe that Edward kept his hate and scarf on the whole time. Such a good doggie. Love this picture of the two of us. God has been so good this year! I have to write about our advent calendar event yesterday. It's a bit of a tradition around here at the Reynolds Nation. 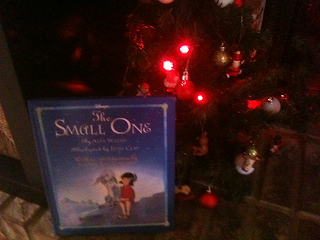 It's that time of year where we pull out our favorite Christmas book, "The Small One." I heard about this book many years ago when I was watching Regis and Kathie Lee...that's tell you how long it's been. Because Kathie Lee has been off the show for a decade or so. Anyway, she promoted this book one Christmas and I happened to stumble upon it when I was at the Christian book store when Bryn was a baby. See my poor girl. This is her this morning waking up after a horrific evening. 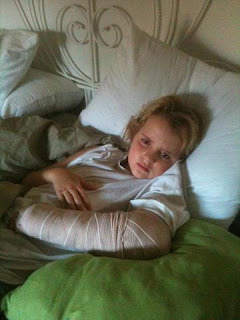 On a bike ride yesterday she took a dive off of her bike and broke her arm in two places...both the ulna and radius have a break. I was riding in front of her and William in front of me...and all of a sudden I heard a huge crash. When I looked back I could see the bend in her arm immediately. I knew it was bad right away. Matt was by our side in just moments after a quick phone call (I actually almost left my phone at home, thank God that I didn't). And after a rough night at the hospital, we were home again. Thankfully, no surgery. The doctor was able to put the break back together again under a x-ray machine. It was incredible technology. Thankfully, she was sedated during the procedure. Now, we are looking at 6 weeks in a cast after this soft cast is taken off. If you think of my girl, say a prayer for her...for quick and good healing. Thanks! Whew!!! It's Monday. What a busy weekend we had. Of course, a lot of the weekend was fun stuff, but it still takes it toll . I thought I would give you an update. Less than three weeks left of school...thank heavens. 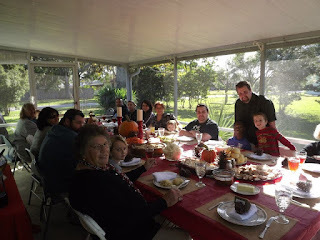 I will be ready to have the holidays upon us and enjoy them with the family. And Matt takes the week off, so we will have him around too. That will be lovely. I want to revamp some school things that I am doing...not new curriculum, but change my approach. So, I am hoping to do that. Well, it's December. Can you believe it? Where has the year gone? Today is the first day of my advent calendar. 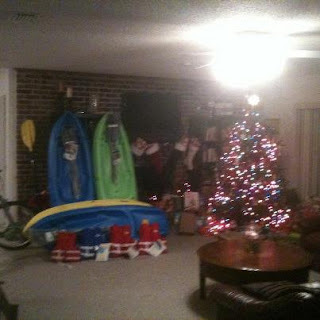 We just put it up and the kids are so excited. This is a new idea...a little different than last years Advent calendar...you can check it out here. 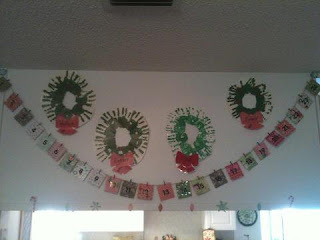 I went on Pinterest and got some ideas and this is what I came up with. The cool thing about this calendar is that there aren't any presents or candy, like most advent calendars. Each day there is an activity to do together...like sipping hot cocoa, reading books, looking at Christmas lights or singing Christmas carols. It really brings everyone in for the season and to remember why we even celebrate the season. 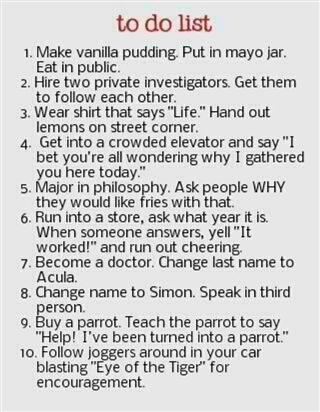 It was such a big hit from last year, so I couldn't let this one go. I just love creating these memories for the kids...and I hope to see them continue with their kids. 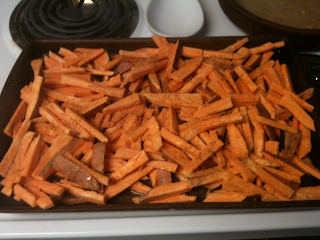 I snapped a picture of my new love...sweet potato fries. Yes, I know a lot of people don't like sweet potatoes. Including me. I don't like them. I tried them again this Thanksgiving and I still don't like them. But awhile back I tried them in the french fry variety and I love them. Now the ones at the restaurant were fried, so of course they were yummy. But here at home I tried baking them...and voila they were fabulous too. I just slice them up really thin...put on my stone...sprinkle salt, pepper and garlic and a little olive oil...and then bake on a high temp. Watch them like a hawk, because they will burn easily. Every once and awhile I will tell you about a new blog that I have stumbled upon. Awhile back a friend of mine messaged me on Facebook and told me about this blog. She thought it would be really inspiring for me. 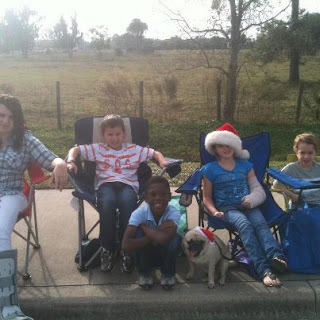 The blog is called www.runsforcookies.com... and it's about a girl who lost 100 pounds and how she did it. And she became a runner partially the way through her weight loss. And of course this has helped her weight loss tremendously...and slimmed her down like crazy. It's my favorite blog lately...she posts almost every day and she is totally REAL. A regular mom who battles the food issue. If you go to her blog look back at some of her old posts. It truly is amazing. And I love her posts about running. 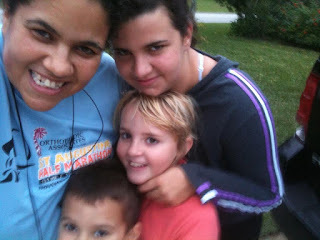 It keeps me inspired and motivated to keep running and to keep losing weight. Her title says it all...she runs so that she can eat yummy foods too..like cookies (or in her case, Peanut butter). Check it out this week. You will love it! Yes, I am doing a whole bunch of what you see in the title. After a crazy busy week of food prep for the big holiday, I needed a few days to down load. So we literally have been hanging out at the house..eating lots of pie, lots of turkey and stuffing and totally relaxing. And it has been wonderful. And included in my days off I added some old chick flicks. Steel Magnolias...and Sleepless in Seattle. Lots of laughter and a lot of tears. Funny how you still cry twenty years after you first saw the movie. Not much more to report than that. Just a whole lot of nothing. Which feels totally great. How was your holiday? I snapped this picture yesterday...just the four of us. 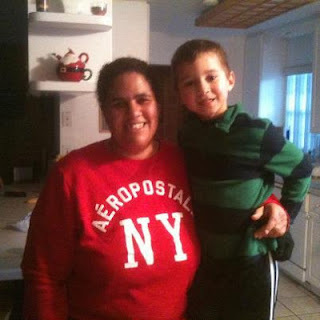 William had pleaded with me for weeks to take him running...and then he started talking about running a 5k. I didn't think much of it, but he wouldn't give up. He was serious. And when William has something in mind, he doesn't give up. So, I promised him that the week after my 10k that we would do the Couch to 5k program (it's the one I used to train for my 5k). He would train to build up speed and endurance and I would use the time to sprint so that I could get faster. Next thing you know, I have two more kids wanting to join. So, yesterday the 4 of us headed out at 6 in the morning and did our time. After the initial giggles and excitement they got into it. They are fast. Much faster than me. So, I will keep you updated. A family who works out together, lives long together! Here is the evidence of me "carbing" it up the night before the race. We headed up to St. Augustine on Friday afternoon and I had BIG plans to eat one of my favorite foods. 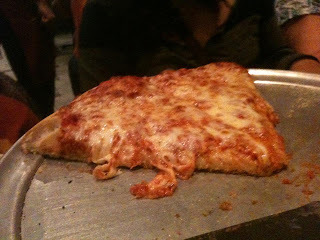 I love pizza, but I don't get to eat it much these days. But it fit the bill that night...I went carb crazy. Here I am the next morning with the shirt that my husband designed for me. I wanted to have something special. It's been a special year. It's been a fantastic year and I wanted to shout it out to everyone!!! When I see this shirt it just makes me think that anyone can lose weight...if I can, then anyone can. 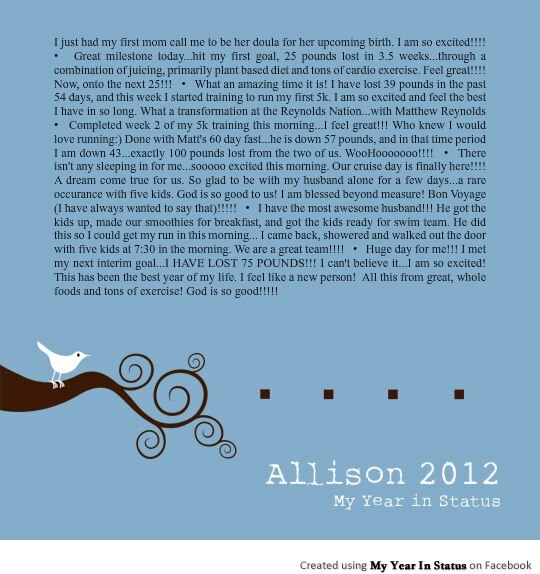 This story is a testimony to others that they can change their life today....TODAY!